The U.S. Consumer Product Safety Commission in cooperation with AOSOM LLC, of Tualatin, Ore. have recalled about 5,000 Wooden Playpens. The wooden playpen can break, split and/or crack at points where screws and other hardware are located. Small, broken wood pieces and hardware from the playpen can pose a risk of choking and laceration hazards to children. In addition, an unstable playpen can fall over onto a child, posing an entrapment hazard. 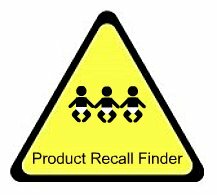 This recall involves AOSOM wooden playpens made from pine wood. The firm's logo "A" and "www.AOSOM.com" is stamped on the gate of the playpen. The Wooden Playpens were sold at AOSOM.com, Amazon.com, eBay.com and other online retailers from October 2008 through November 2010 for between $30 and $150. They were manufactured in China.